Music From The Ballet "Hans Christian Anderson"
These are very different kettles of fish. 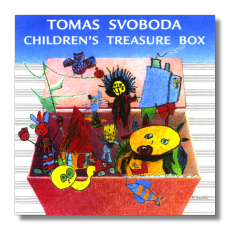 The Svoboda is a recording of sixty graded exercises for children learning to play the piano, somewhat comparable to Bartók's Mikrokosmos. The Piano Quarterly in 1987 said that Svoboda's was "among the 40 most important composer collections of the 20th century for teaching piano." Each piece is more difficult than the previous and introduces a new technique. Each piece has a name, such as "Getting Sleepy," the first. Volume I, the first twenty pieces, is meant for first or second year students. From Volume 2, "these pieces are appropriate for presentation in recital." There are 17 pieces in Volume 2, 12 in Volume 3, and 11 in Volume 4. I would say that this CD could be used chiefly to decide whether to purchase the sheet music or for the learner to check the accuracy and progress of the learning process. The sheet music can be obtained from www.TomasSvoboda.com. Fairy Tales is the recipient of the "Adding Wisdom Award," 2007 and the "iParenting Media Award," also. 2007. I am not familiar with either of these. 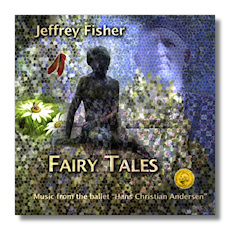 Fisher claims that this music is "geared to both children and adults." I am not at all sure about the "adults" part, though I can imagine parents cheerfully listening to it with children, assuming it delighted the latter. Not having immediate access to young children at the moment, I am not in a position to test this assumption. I do have to say that I am not inclined to listen to it repeatedly for my own private delight. This is particularly the case with the Inchellina music (Thumbelina Variations). By the way, neither the album text nor Fisher's website, www.healingmusicofthesouthwest.com, specifies how or on what the music is performed, but it sounds to me like a synthesizer of some kind, though some of the instrumental timbres actually sound as if various instruments could be involved. Fisher has played in a number of instrumental ensembles, including a jazz quartet in Taos that he says popularized the music of Thelonius Monk. So what does the music sound like? Cheerful and perky, for the most part. Bouncy rhythms with strong dance beats, but the rhythms and melodies are very simple and not that varied. "The Mad Cobbler" section of "Red Shoes" does start out as mysterious, even ominous, but that does not last long; and the final number (of five) of The Red Shoes has music that is more complex than usual. The Mermaid (six sections) includes a lot of wave sounds and storm effects. "The Sea-Witch" part has some shimmering sounds, as well as a brief Siren song. This album is available from Amazon, Borders, Barnes & Noble and elsewhere.